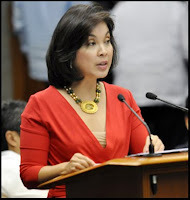 Philippine Senator Loren Legarda is receiving considerable coverage in local news outlets for her proposal to put forth legislation that would ban the catching of all sharks and rays in Philippine waters. Her proposal goes beyond the type of shark fin ban that has been initiated elsewhere, such as in several U.S. west coast states and Hawaii. Legarda seeks "to declare as unlawful the wounding or killing of sharks and rays, unless there is threat to human life or safety. The shark’s fin soup and the selling of shark’s fin will likewise be prohibited to eliminate the demand that results in the massive killing of sharks." This proposal, Senate Bill 2616, was actually first proposed over a year ago, in November, 2010, and mirrors similar legislation that was proposed in July, 2010 by Representative Gloria Macapagal-Arroyo which has been languishing in committee since then. Being that Senate Bill 2616 has been on out on the floor for some time, I find this sudden attention to be of interest. This morning, I counted five different Philippine news outlets picking up the story and, as much of what I read was verbatim from one source to the next, it was clear that a press release had been circulated. News reports claim that the senator's renewed drive was a result of recent local reports of shark finning operations taking place, and there's no reason to doubt that. “Clearly, the absence of the law forbidding the catching of sharks, gives people the courage to continue the practice, which could eventually lead to the extinction of shark species in the country, especially [sic] that they reproduce slowly,” said Legarda in a statement on Sunday. However, the release of Legarda's statement could also be propitious as a response to recent statements made by a panel of experts at a forum held in Singapore and sponsored by the Institute for Southeast Asian Studies. Expressing their controversial views were Dr. Giam Choo Hoo, a member of the United Nations Convention on International Trade of Endangered Species (CITES), Prof. Steve Oakley of Shark Savers Malaysia and Hank Jenkins, president of Species Management Specialists. The three put forward the position that prohibiting the trade in shark fins will not dramatically reduce the number of sharks killed worldwide. They noted that many countries such as Germany, France, Australia and Iceland have long killed sharks for their meat. “Even if shark’s fin were banned, these countries would continue to catch sharks for the meat,” said Oakley. 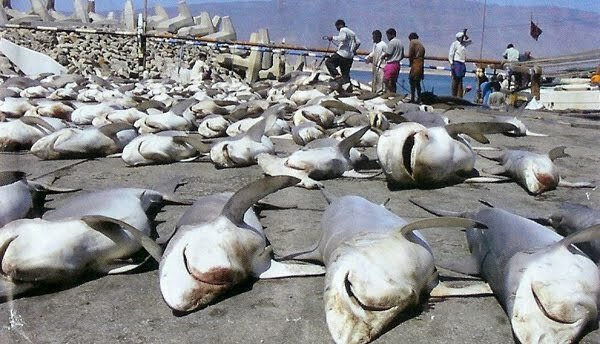 Giam used statistics from the UN Food and Agriculture Organization (FAO) to say that 70 percent of all sharks caught are done by local fishermen in developing countries who consume the entire shark, not just selling the fins. 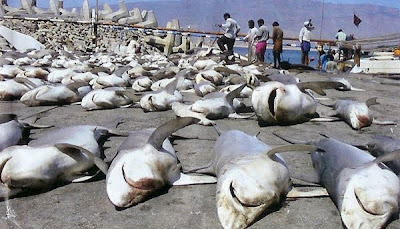 And Jenkins was critical of the statistics that are often used regarding the number of sharks caught worldwide. 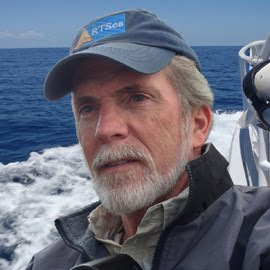 He questioned the accuracy of 73 million caught each year, saying that it was a manipulation of data originally research by marine scientist Shelley Clarke who put the number at 38 million in 2000 with a wide variance of 26 million to 73 million. While the idea that shark finning is not the sole issue threatening sharks (albeit the most distasteful) or that catch numbers can be widely inaccurate and prone to manipulation are actually valid points of discussion and consideration, the manner in which they were presented in Singapore has raised the dander of many shark advocates (read here, here, here) and pro-shark organizations. The panel's most inflammatory statement was probably made when, as reported in The Jukarta Post, they insisted, "there is no evidence that live finning - cutting sharks’ fins off before throwing the sharks back into the sea - is a prevalent practice. 'Although practiced by some fishermen, it is illegal, relatively infrequent and condemned by the industry,' said Jenkins." Just a few days following these statements, Senator Legarda reignites discussion and news buzz regarding her Senate Bill 2616. Coincidence? Perhaps, but it's not much of a stretch to imagine the Singapore news coming to the senator's attention and generating a reaction. Definitely, the impact of shark finning and total shark consumption and the accuracy of the estimated numbers require more research. But they are not easy facts to ascertain. Extinction is the ultimate test bed for measuring the impact that sharks have on a marine ecosystem, but there is a wealth of data to date that can provide indications without going to such a ridiculously extreme approach. 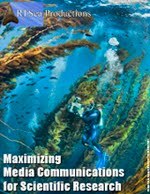 With more and more data, computer models can be further refined to determine impacts based on species and specific environments or locales. Statistics regarding catch and population numbers will always be a bit elusive and subject to abuse. How many sharks are caught specifically for fins and/or meat versus how many are caught as accidental bycatch will always need to be extrapolated from sources of varying reliability. And when you add to that the number sharks that go unreported due to illegal activity, it becomes even more challenging. However, even a low end number like Clarke's estimated 38 million is an astounding toll to impose on an animal being caught in the wild whose reproductive rate is low. To reach a level of commercial "sustainability" is a lot to ask of nature when it comes to sharks. So, we can either downplay the potential or theorized impacts on shark populations and proceed as we have been for decades, waiting for a possible negative outcome that would be irreversible; or we follow Senator Legarda's lead and move towards total protection. That would require facing stiff economic and political challenges in transitioning market demands and the direction of commercial industries, ranging from fishing to tourism, but it would be a fine testament to our ability - some would say a god-given right - to exercise true stewardship of the seas.